Damn. 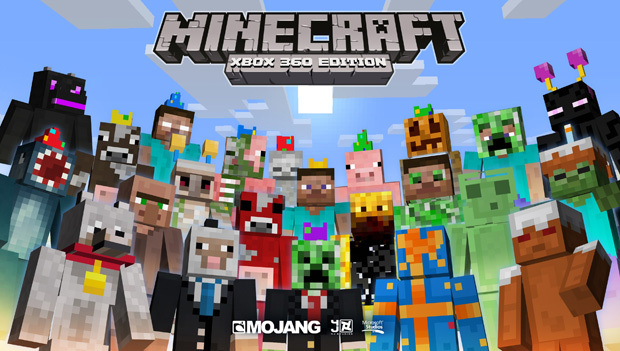 10 million copies of Minecraft: Xbox 360 Edition have been sold to date. I'd say the person responsible for initiating the deal that would eventually lead to this version coming about deserves a raise, or a pat on the back -- or something! -- but such a milestone speaks for itself. If you came for the discounted DLC and not to hear about Mojang's continued success with everything Minecraft, here goes: the promotion is only good for Saturday, December 14. Skin Packs 1-5, Battle & Beasts Skin Pack 1 and 2, Festive Skin Pack, Plastic Texture Pack, Natural Texture Pack, and Fantasy Texture Pack are half price. In other words, everything but those comparatively much more interesting mashup packs are being discounted.